Nevada’s history is filled with notable women, some, as with Julia C. Bulette, for actions that today are socially questionable, even illegal in some counties. With Bulette, her notoriety began with the beginnings of what is now a state, and with such notoriety come legends, fiction filled legends that are fun to discuss, but have no basis in fact. In 1859, the discovery of a massive ledge of silver that is known today as the Comstock Lode created what is called “the rush to Washoe,” as the area was known. The Comstock Lode is the single largest silver lode ever discovered in North America, and the riches it promised brought legions of wanderers looking to get rich quick. The rush to Washoe brought the likes of John Mackay, Mark Twain, William Sharon, and Julia C. Bulette to the eastern slope of Mt. Davidson, to do their own particular brand of mining. Men pitched tents, dug coyote holes, slept on the bare ground after searching for “that blue stuff” all day, and slowly, order came to the area and a village of sorts grew into what we call Virginia City today. In 1860, on his first visit to Virginia City, Adolph Sutro described the town this way. There were “half a dozen stone houses built last fall, some twenty five wooden houses, and several hundred tents” making up the town. Sutro published his visit in an article in the San Francisco Daily Alta California in April, 1860. A town filled with men looking to get rich is a prize worth going after for any respectable prostitute. Bulette arrived in 1863, after working in many of California’s mining camps as a prostitute, and set up shop. There are some that believe she may have been among the first of her profession to do so, but that is highly unlikely. The villages of Dayton, Johntown, and Silver City existed before the Comstock Lode was discovered. There are few records available from the period detailing the lives of prostitutes, and much of what has been written about Bulette is pure fiction. What is known is that she was a friend to the fire companies of the district, even being made an honorary member of Engine Company Number One. Press reports of the era, in particular those in the Territorial Enterprise indicate that she responded to many of the fires, that she even worked the brakes on the hand pumpers, and offered other types of help. During the many flu epidemics, it is believed that she helped man soup lines and tended to the ill. In her brief five plus years in Virginia City, she watched the town grow into a full sized city, saw men bring wives to the mountain, watched as schools, opera houses, even elegant hotels were built. The great social change had a strong impact on the ladies of the night as well. No longer were they the queens, the newly arrived gentle women would not allow for socializing, and even at her death, Julia C. Bulette was shunned. The good folk would not allow her to be buried in any of the town’s cemeteries. She was buried alone, on the side of Flowery hill, about a mile southeast of the town. Her gravesite has been lost to history, but the general area is well known. In his book, “The Red Light Ladies of Virginia City, Nevada”, George Williams III reproduces a statement from the funeral parlor that took care of Bulette’s remains, which indicates she was buried in a mahogany casket, at the cost of $149. She had more debts than assets at her death. Her brutal murder on January 20, 1867 has led to her lasting notoriety. 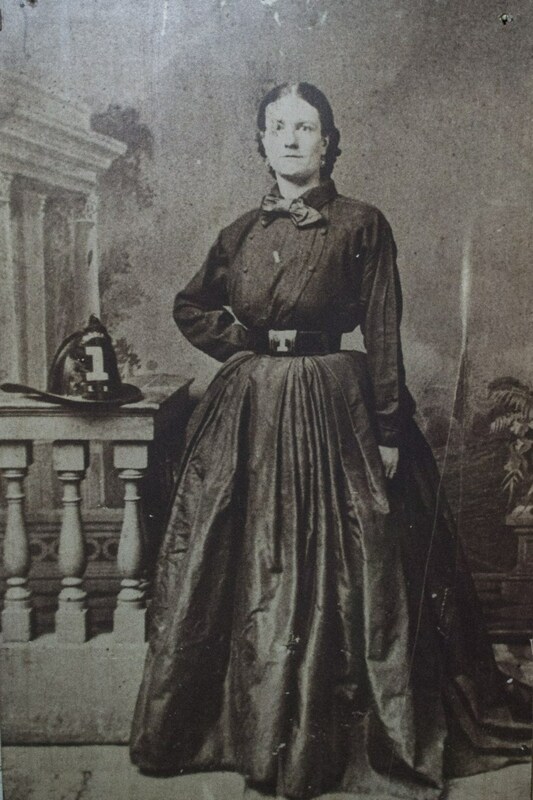 Just 35-years-old, possibly from England, more than likely from Mississippi, having worked as a prostitute, probably first in New Orleans, then the California mining camps, and finally in Nevada’s first city, Bulette suffered severe blunt force trauma, probably inflicted by a heavy piece of wood, then had the life strangled out of her. Murders of prostitutes were almost common in the 19th century, but the murder of Julia C. Bulette seemed different. This prostitute had many friends, some in high places. Alf Doten was a long time friend, he even wrote about his visits with her. 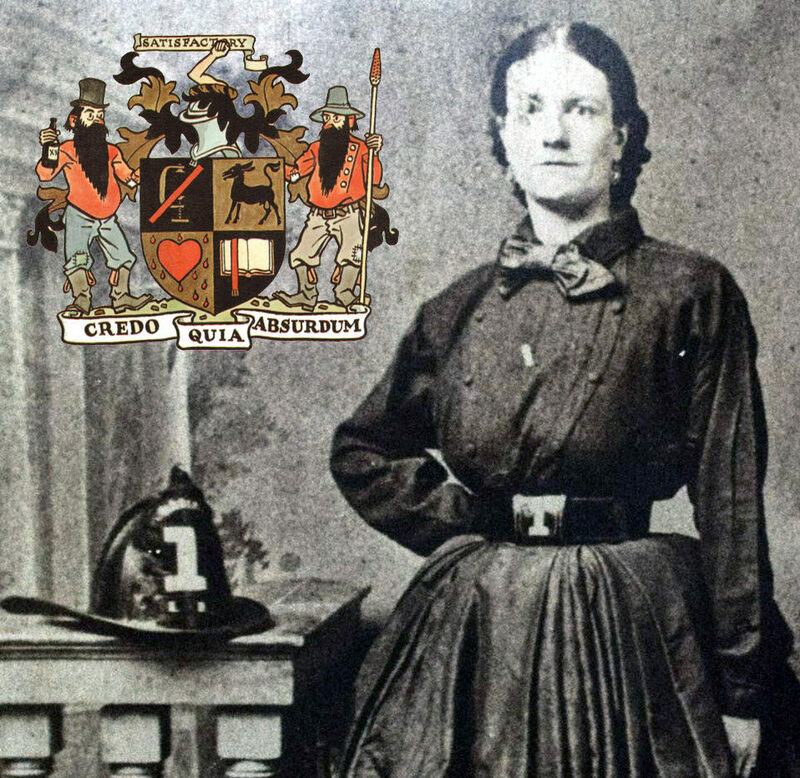 Bulette had entire fire companies as friends, and interestingly, some of Virginia City’s upper class women. Bulette was an accomplished seamstress, and many of her frocks found their way to places like Piper’s Opera House and the International Hotel. Report after false report today insist that Bulette was murdered for her jewels and money, the problem being, she had little of each. A Frenchman with little command of the English language, John Millian, 38 years old, was arrested when it was discovered he had some of Bulette’s possessions, including a dress pattern she had ordered. Millian was found guilty and hanged for the murder. There have been questions ever since over whether Millian did the dirty deed, over what may have been his motive, and whether his command of English was such that he even understood the courtroom procedures. Stories of 19th century prostitutes having large amounts of money and jewels have always flourished, but seldom backed up by history, so it’s questionable if that would have been Millian’s motive. The lady of the night lives today, in fiction, in history, and in a men’s historical group known as E Clampus Vitus, derived from a mining society of the 18th and 19th centuries, dedicated these days to helping preserve the rich mining history of the west. A chapter, located of course in Virginia City is called the Julia C. Bulette Chapter, 1864, E Clampus Vitus. They own a building on B Street called the Julia C. Bulette Building. Julia C. Bulette is truly a woman of note in Nevada’s colorful history. The significance of that in the overall picture of Women in Nevada History is left to the reader. Johnny Gunn is a retired journalist, a member in questionable standing of E Clampus Vitus, Julia C. Bulette Chapter, 1864. In the early 1970s he was editor and publisher of the Virginia City Legend. His collection of western short stories, “Out of the West … Tales of the American Frontier” is available from Bottom of the Hill Publishing Company, and from area book sellers.